Hi! It's been a year, huh? Big year! I was published in Outside, Smithsonian, Slate and some other cool places. Google also locked me out of this blog, and I just figured out how to get back in. I'm undecided whether I'll keep posting here... I have my hands full as it is. In the meantime, visit my real website at www.kristaleelanglois.com. Thanks! Here's an adorable picture of my dog, just to cap things off. Canada's mining boom spills into Alaskan waters. Carrie James’ story ought to sound familiar: She grew up in a small town on the Alaskan coast, fishing for salmon the way her Haida and Tlingit ancestors had for generations. She taught her children, two boys and a girl, how to catch, smoke and put up the fish. And then, as with so many other salmon-based tribes, plans for upstream development began to threaten her way of life. But unlike some Pacific Northwest tribes, which have lately negotiated with hydroelectric companies to repair some of the damage caused by dams — or tribes in Alaska’s Bristol Bay, which at least have the Environmental Protection Agency on their side in the fight over Pebble Mine — James has felt powerless in her effort to stop a handful of mines from being dug in the headwaters of rivers that feed her tribe and economy. That’s because the headwaters aren’t in Alaska. They’re in Canada. 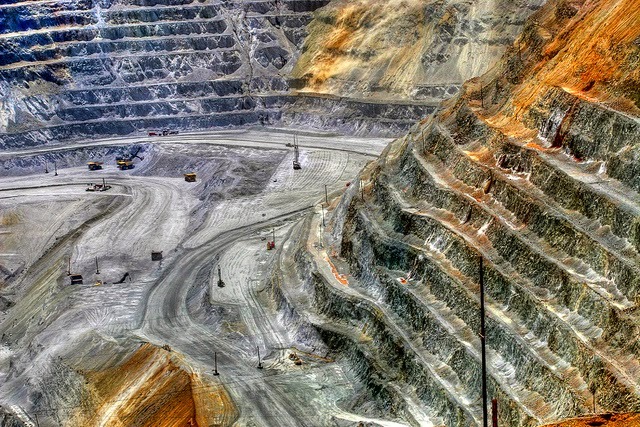 Over the last decade, the Canadian government has expedited a mining boom in western British Columbia by rolling back one environmental regulation after another. The Navigable Waters Protection Act, for example, once protected more than a million Canadian rivers and 32,000 lakes. As of 2012, that number was down to just 66, leaving some of British Columbia’s wildest, richest and largest rivers exempt from environmental safeguards. Cheap oil is saving Alaskan ecosystems -- for now. But former Governor Sean Parnell targeted the region around Bettles for one of a handful of “mega-projects,” huge developments meant to create jobs and tap into Alaska’s untouched resources. 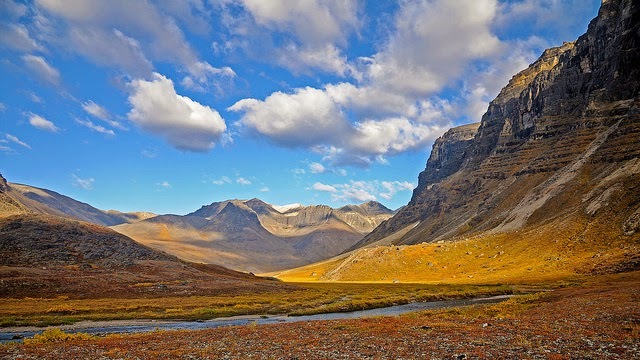 In this case, the resource was copper, and the project a 220-mile long mining road that would cross more than 100 streams and rivers, countless acres of tundra and wetlands, and Gates of the Arctic National Park. It would also trundle right past Hanchett’s house, bringing exhaust fumes and possibly asbestos dust to a place where he usually smokes fish. Hanchett has been doggedly fighting the proposed Ambler Road for more than two years. But the best news he’s gotten came on Jan. 22, when newly-elected Independent Governor Bill Walker unveiled his 2016 budget plan: All funding for the road had been cut. Unwelcome ungulates: Do mountain goats belong in Utah? The La Sal Mountains rise from the slickrock canyons and dry mesas of the Colorado Plateau like a mirage, an island of alpine peaks in a sea of desert. Just 15 miles from the adventure tourism hub of Moab, the mountains are blissfully cool, even in summer, and nearly empty of people. To Barb Smith, a 52-year-old Forest Service wildlife biologist with striking green eyes and a silvery braid, the upper La Sals are an ecological paradise, one of the few chunks of land in Utah that isn’t grazed, logged or scarred by off-road vehicles. Smith is also a botanist, and as she and a dozen or so volunteers climb above 11,000-foot Burro Pass, she rattles off the Latin names of flowers:Polygonum bistortoides, Tetraneuris grandiflora. There are so many, it’s hard to take a step without crushing one. We pause on a wind-scoured slope to catch our breaths and everyone crowds around Smith, who has spotted a cute if unremarkable yellow button called the La Sal daisy. She explains how to identify the flower and mark its location on a GPS. “This kind of effort, this kind of documentation, is going to be really helpful,” she says. The volunteers hold out their smartphones to take pictures. How Native Americans shaped -- or more often, didn't shape -- the year's biggest environmental debates. ...Click here to keep reading. Imagine an oil spill off the coast of San Diego. Now imagine the nearest port from which to launch an emergency response is in Seattle, more than a thousand miles away, and that San Diego is suddenly bereft of grocery stores, leaving most residents dependent on the ocean for sustenance. Then take the Southern California ocean in your mind’s eye, increase the biomass, encase it in ice, bathe in darkness for a few months, and sprinkle with polar bears. That’s what an oil spill in Alaska’s Chukchi Sea would look like. Why are Hopi rangers impounding Navajo sheep? Caroline Tohannie is an 84-year-old great-grandmother who raises sheep and weaves traditional Navajo textiles in northern Arizona. On Oct. 22, her sheep were confiscated. Tohannie has lived her entire life on Black Mesa, an arid, tawny chunk of land once veined with glittering coal and now studded with slag heaps and waste ponds. Both Hopi and Navajo claim it among their ancestral homelands; before Europeans showed up, the tribes’ relationship was “one largely of peaceful co-existence and intertribal cooperation,” writes historian and Navajo activist John Redhouse. The Hopi lived in agricultural villages atop the mesa, while the more transient Navajo grazed their livestock below. When the U.S. government forced Navajo into internment in the 1860s, those who managed to escape fled to what’s now Hopi land at Black Mesa. Later, encroachment from white settlers forced more Navajo onto the Hopi reservation, and what eventually became an ongoing, century-long land dispute was birthed. It culminated in the 1974 Navajo-Hopi Land Settlement Act, which drew an arbitrary line down the center of Black Mesa, splitting it between the two tribes. Navajos living on Hopi land were forced to relocate, as were Hopi living on Navajo land. Ultimately, more than 12,000 Navajos were forced from their homes, compared to just 100 or so Hopis. It was the largest forced relocation since the 1880s.